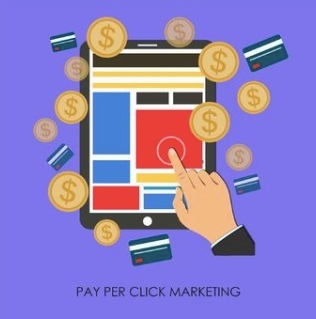 Online Leverage helps integrate PPC into clients’ online marketing strategies,work with your wider brand awareness objectives, or can focus on direct response to facilitate the desired action from the users you are targeting. You can find information about all of these topics, and many others as they relate to managing Pay Per Click (PPC) ads on Google with Google Adwords. Our experience in keyword research and campaigns creation can help you, whether you are seeking to attract end user customers, ready to purchase, or with promoting information on products or services with the correct keyword choices, as well as helping suggest targeted locations for your ads to show in. Our determination to succeed in search marketing will provide decisive solutions in assisting your business as it strives to overcome your competitors’ pay per click strategies. We will maximise your ROI by generating high click-through ratios with applied logic, experience, and an innovative approach. By meticulously refining your campaigns, we can reduce the average costs involved in attracting highly relevant visitors for the products/services on offer within your site. Online Leverage’s Pay Per Click Consultants are all adept at providing the service you need, analysing your campaigns, optimising your landing pages, creating compelling ads and reporting on our progress as often as you require. The insight we can gain through regular consultation and feedback on the performance of our PPC management services, with respect to your wider marketing goals, will always enable us to improve our service to you and increase your satisfaction with our pay per click management team. We understand that no matter how good we are at providing affordable quality traffic for your business needs, we can always try harder to push your online profile further and assist in the development of your business through the medium of pay per click advertising. Contact us today for a free consultation on the PPC management services we offer and let Online Leverage take your pay per click campaign to a new level of performance.